Compare the performance of your dairy with the top industry source of relevant dairy statistics, Frazer LLP's Dairy Farm Operating Trends. Dairy producers: Gain perspective about how your operations compare to others in your region, and in other markets. 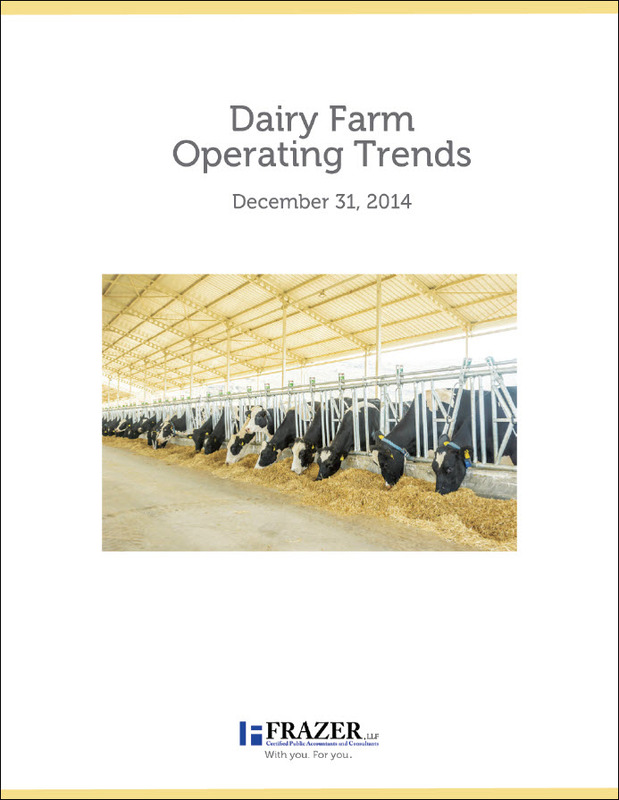 Bankers, analysts and consultants: Use the Dairy Farm Operating Trends as a tool to evaluate your clients’ operations in relation to their peers in a particular region and pinpoint areas for individual improvement. Use Dairy Farm Operating Trends for industry analysis regarding current and future pricing for milk, feed, and entire costs of operations, as well as for Federal and State lobbying purposes to aid in changing legislation.